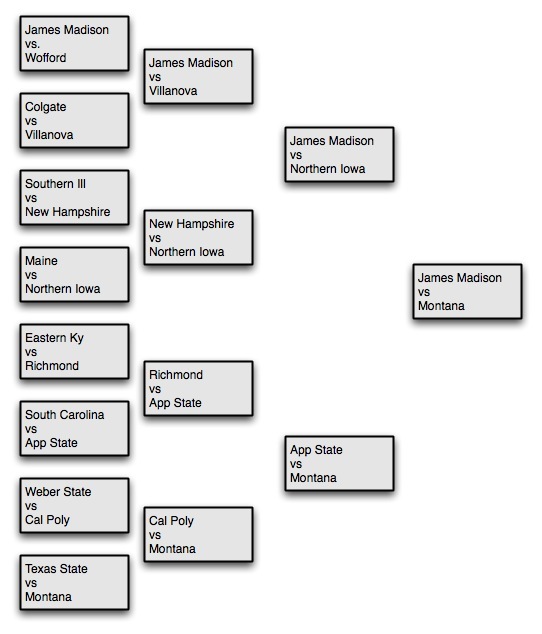 The CAA is well represented with 5 seeds in the playoffs, with 3 (James Madison, Richmond and Villanova) in the top 8. The other two: New Hampshire is ranked 11th and Maine ranked 14. With the exception of the Richmond/Maine game, none were blow-outs, making me think that the CAA is pretty tough. This is the CAA’s 18th straight season with multiple bids for the championship. I personally cannot wait to attend my first playoff game. GO DUKES! But the competition this year is pretty tough. Then onto the Semifinal round, which is TBD and the remaining two teams from the semis will go on to the Championship game Dec 19th in Chattanoga, Tenn. Call me biased, but here’s to hoping. Theo Epstein arrived fashionably late to the GM meeting in Dana Point, California, after swinging by to watch Clay Buchholz pitch in the Arizona Fall league. With the Red Sox facing several key financial and player decisions this winter, the GM meeting has become more important than ever. The Sox have depth in every position except for catcher (which we won’t go into at the moment) which gives them a little wiggle room when it comes to personnel. If we like someone, we have lots of chips to trade, and with the loss of some big money contracts, this should be a good winter for trading – if necessary. Theo spoke to the press, and has informed everyone that Timlin, who pitched six years in Boston, will not be returning to the Red Sox if he does not end up retiring. He also hinted that “The Mayor”, Sean Casey, will likely not return. Epistein also confirmed that he has signed a contract for an undisclosed amount of years and funds. If they can do it, the Sox may be interested in bringing in a big name pitcher, like CC or A.J. Burnett, but are more likely to get a strong starter who will cost significantly less than the headliners. Throw in another strong arm to Dice-K, Beckett, Lester and Wake and you’ve got an impressive pitching staff. If they all remain healthy. The Red Sox have yet to decide what they will do with rookie pitcher Justin Masterson, who pitched beautifully from the ‘pen in the second half. His flexibility is a big bonus for the decently strong Sox pitching staff. You have to love the new owners and our GM, they really do put all the money we, as fans, spend on the Red Sox back into the team. Of course, this year Theo may have to do something he has never done before: got to arbitration. So far, he has always settled with his players, and with the money they have, the team should be able to give raises to a handful of their best players (i.e. Youkilis, Papelbon and Pedroia). Jonathan Papelbon made just under $800,000 last season, and Kevin Youkilis went from $424,000 in 2007 to $3 million in 2008. Look for both of them to receive considerable raises. The Sox will also try to lock up Dustin Pedroia through his arbitration years, probably with a raise. Epstein will also meet with the Prince of Darkness (Scott Boras) himself following the GM meeting to begin talks on Jason Varitek and whether or not he will be returning to Boston. While no deal is likely to be made, if they come to a quick agreement, Theo would not be opposed to wrapping it up early. Theo spoke to the press, and has informed everyone that Timlin, who pitched six years in Boston, will not be returning to the Red Sox if he does not end up retiring. He also hinted that “The Mayor”, Sean Casey, will likely not return. Epistein also confimred that he has signed a contract for an undisclosed amount of years and funds. A quick message for Theo: BRING BACK TEK! You knew it was coming. The Prince of Darkness AKA Scott Boras wants a four year deal for Tek. He’s too old for four, but he won’t take two. Here’s what you do, Sox. You offer him two years with two additional option years. I realize that he’s like an automatic out at the plate. I realize that he’s expensive (mostly due to greed on Boras’s behalf) but I’m worried about the team without him. If he retired, they’d be fine, but if he was playing somewhere else, like Detroit, it would end badly. I realize the Boston mantra is generally “out with the old” but this is not Nomar or Manny or anyone, this is Tek. This is the CAPTAIN. He is the leader, and I’d rather have us bite the bullet on a two year deal with options or a three year deal and keep the soul of this team. Intangibles are important. Look at the change in the locker room pre- and post-Manny. They were a totally different team after the trade. But that wasn’t just Manny being gone. They played for each other, not just with each other. Even if we brought back healthy vets like Lowell, you’d still be losing the rock of the team in Varitek. Besides, its not like there is a stellar crop of catchers out there. Casey and Kotsay are both free-agents. I feel like we should keep one of them as backups, they both have decent bats (Casey more than Kotsay) and play good defense (Kotsay more than Casey). I’d rather keep Kotsay, as much as I love Casey, because he can play infield and outfield. Of course, with a healthy JD Drew, Jason Bay, Ellsbury, and possibility of Crisp returning, will we need it? (answer: yes. You never know who is going to get hurt. it’s always better to be prepared). Alex Cora is up for free-agency, and I don’t think we’ll keep him if we can’t dump Lugo off on someone. That’s a shame because he’s a decent back-up we can groom to become a really great manager. Have you ever heard this guy talk about baseball? He is so smart! And Tito loves him. Personally, I’d rather have a Lowrie-Cora infield than a Lowrie-Lugo one. Yipes! I’d like to keep Cora (if we can) and shift the infield around. Have Pedroia play short, Youk play second, and Lowell at third, picking up Texiera to play 1st. Then we can have great back-ups in Cora and Lowrie so the guys can have a day off on occasion. Timlin and Schill are both up, but guys, you need to retire. Do it now when you can go out with people still loving you. Don’t do a Brett Farve. You’re done. Go play golf and look at your shiny World Series rings. Byrd and Lopez I have mixed feelings about. If we can keep them for a bargain, good, if not…eh. Paps. We need to get him a raise and an option deal. I wouldn’t tie him up for years because of shoulder injuries/etc. but he’s a great closer. Maybe give him the same option Wake has? Or something similar. Cash. Wake is back and he will likely be too. Tek can catch Wake, but if we get a new catcher (shudder) we’ll need Cash and his experience with the knuckle-ball. Pedroia. Give him a long-term deal (with a raise). This kid is for real, and he’s young. Lock him up. Lester. Same as Pedroia. In about three years, Lester could be the best pitcher in baseball. Period. Youk. This one is a no-brainer. Give the man a raise and lock him up for a few more years. up for years because of shoulder injuries/etc. but he’s a great closer. Maybe give him the same option Wake has? Or something similar.